Have you noticed signs that your kid is being bullied? You may see the signs but everytime you ask they are quick to snap at you or just avoid the situation all together. This is a matter that you do not want to take lightly ever. As parents it is our duty to protect the children we have given birth to at all cost, knowing something is wrong but not being able to find out from them can become a bit of a challenge for the both of you. It is a given if you try and push the subject that they are either going to blow up at you and become even more enraged, or the opposite and try and hurt themselves or the person that is bullying them. So what are we to do then? The best thing to do is look for certain signs your child is being bullied first. Are you wondering what signs to look for? I will post up a list of things to look at then take matters in to your own hands to get this very serious issue under control before it escalates in to something much more dangerous. If your child once liked going to school and all of the sudden it is a fight to even get them out of bed to go. For instance if they make up excuses to not go, fake going, try every way that they can to avoid going it all together. Change in clothing they wear. 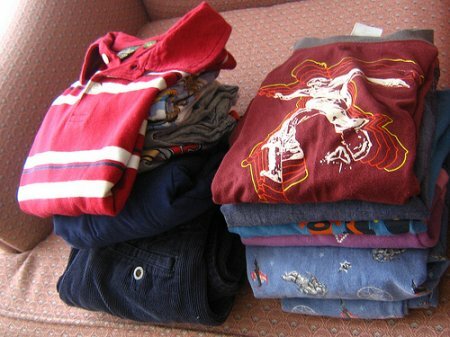 If your child liked wearing shorts and tee shirts then all of the sudden is wearing long sleeves and pants, chances are they are hiding marks on them that they got from another student that has bullied them around. If you do see marks and ask them they may make up all kinds of bizarre excuses why they have these marks on their body. Here is a very important thing you can look at too. Now you know that your child is a very bright student and is always getting good grades. If their report cards start coming back with a drastic drop in grades. When a child is being bullied it tends to get hard to focus on work and assignments, when all they can think about is when this child is going to harm them again. If you notice a change in their eating habits, weather it is that they stopped eating or binge eat just to take the pain away from them. Sleeping patterns may change as well. Either sleeping all of the time to pass the days away or from worrying so much they may not be sleeping well at all. Do you notice a difference in things they do such as when they get home are you used to seeing them go outside and play and now all of the sudden they do not even want to leave the home for any reasons at all. If they are one that likes to surf the web and now will not touch a computer because they fear that they will get cyber bullied same for talking on the phone or texting others has that all stopped as well. These are plain signs that they are hiding something from you. Change in the child's mood is a big red flag as well. 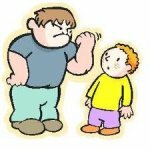 Are you used to talking with the child on a daily basis and now it is a fight to get a single word out of them without having them flair up an attitude, yell, scream, or even try to get physical with you. They have started to isolate themselves into their room or a certain room in the home where they can be a lone and hardly come out. You may hear them crying or talking to themselves or even screaming too. Did your child like walking to school all of the time, and now you have noticed either they try and get rides in from you or others or they have changed their regular route to and from school. How about their confidence, have you noticed that they us to think very good about themselves and now they completely cannot stand a thing about their life, looks or all around things in general. Has the child's hygiene diminished to where they do not even take showers, brush hair and teeth when you know that they are not normally like that. Is your child asking you for money more frequently now then they ever have and will make up all kinds of excuses as to why they need it. Have you noticed that they will not wear anything new that you have purchased for them to school, wont bring their favorite games anymore, or makes up excuses as to why they do not have certain things anymore. The examples listed are a great way to gauge if your child is being bullied in school. if you notice one or more of these signs in your child but cannot get them to talk to you there re several ways you can handle the situation to assure your kids safety and well being. The list I have given you are all definite signs that something is going on at school with your child. It must be taken care of as soon as you can, if the child will not tell you anything at all then you just have to take actions in to your own hands. Because as I said above if it does not then it will just continue to go on, and there is no saying how many others are going through the same thing. If they won't talk to you try and feed them positive reinforcements for example tell them I have a feeling something is going on, but without your help I cannot help you. Please believe me when I tell you that this is not your fault and if you do tell me we will take care of it immediately. Well if this approach does not work, then your only other choice is to either go to the school and get down to the bottom of what is happening to your kid or take them to a doctor where they have to talk to them. I hope that this article has helped you out with your child, this is no matter to take lightly and must be fixed immediately. Share a link to a page on Signs Your Kid Is Being Bullied, How To Tell If Your Child Is Being Bullied and we will consider it for placement on this page.